I call Breeze my little tourbillon--she's always a whirlwind of energy zipping all around at full volume. 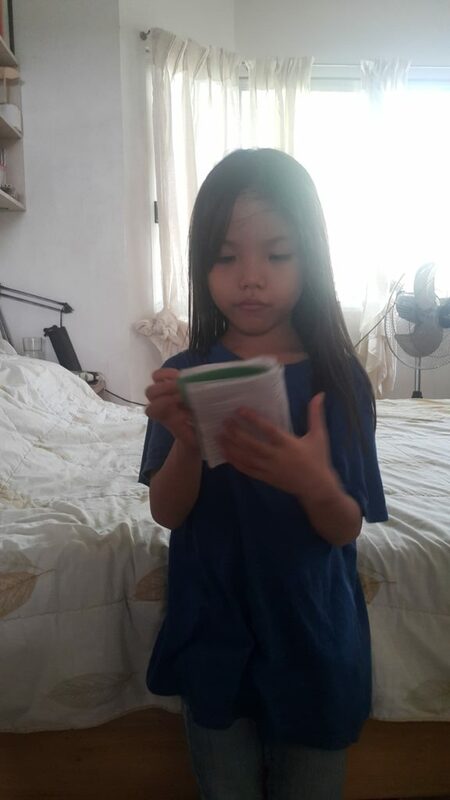 One thing she does every single day, several times a day, is run from their room to our room, leaping over any obstacles, be it a couch, her sister's wooden train setup, or the cat. 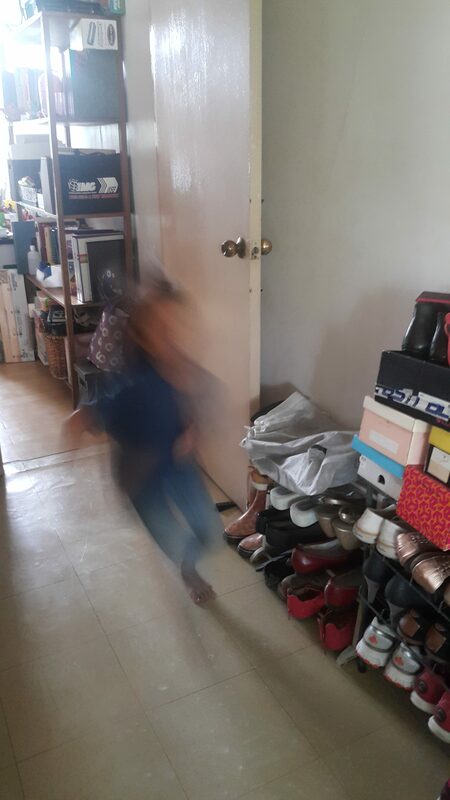 Her finale is a running leap up onto the bed into a roll, landing on her feet on the opposite side. So we brought out my handy tape measure, and since it only reached 150cm, we had to measure end-over-end from the bottom of the step to the edge of the bed. 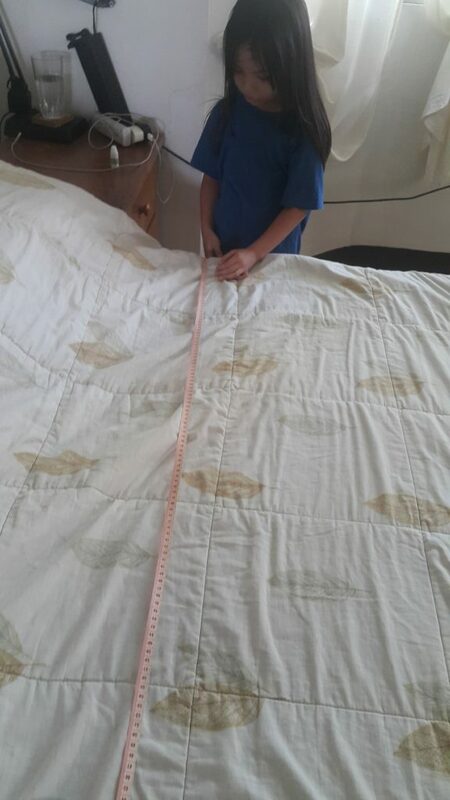 Then we measured the width of the bed. Can you quickly add her total distance? 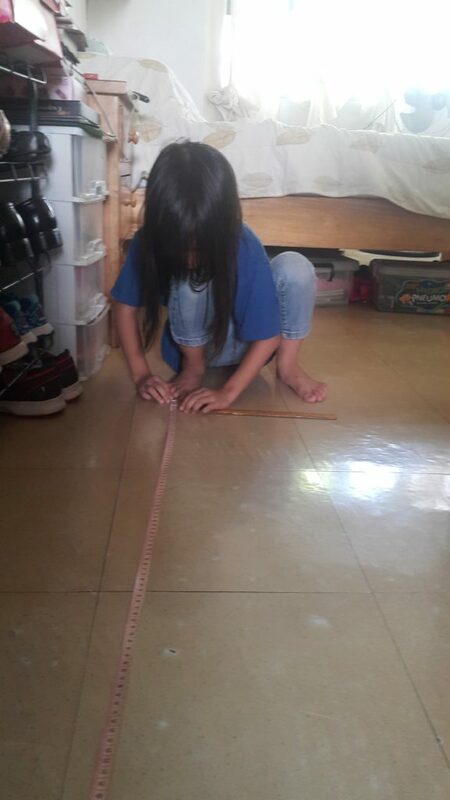 From the step to near the bed was three tape lengths (150cm x 3) plus a little bit more, so it's 450cm + 97cm. Then the bed is 153cm across. The quickest way to add would be to make zeroes. How? Well, 7 + 3 is 10, a 'zero' or number ending in zero. So we can get the 3 from 153 and add it to 97, making it 450 + 100 = 550. Then we can add the last 150, making the total 700. Or, you could do it the way Breeze did, which is still making zeroes. "3 + 7 makes 10, so it's 100 + 150, which will be 250. Then 400 + 200 makes 600, and the two 50s make 100, so it will be 700." 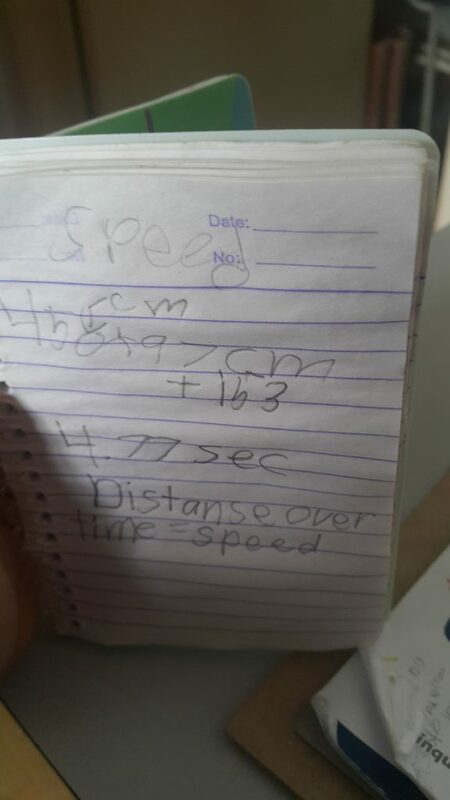 Bottomline, she traveled 700cm in 4.77 seconds. Now, we aren't into dividing with decimals yet, so we just used a calculator. Her speed or velocity is 146.7 5cm/s (or in meters 1.47 m/s, about 5kph--still a quarter of the speed of a squirrel). Not bad for a tiny thing who's only 111cm tall! So what's the HP Math thing for this week? Learn to make zeroes!